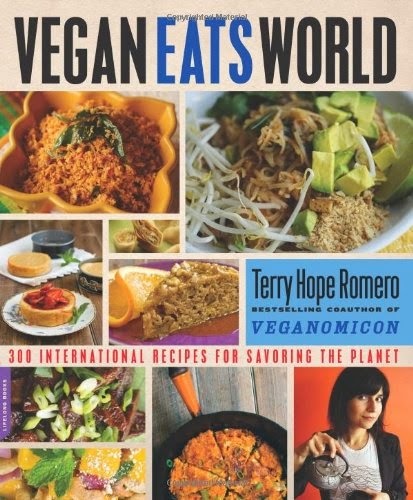 If you are looking for the same old same old vegan recipes, Terry Hope Romero's Vegan Eats World: 300 International Recipes for Savoring the Planet isn't the cookbook for you. This eclectic cookbook, from the bestselling coauthor of Veganomicon, features 300 international recipes that translate the world's different cuisines into delicious vegan eats. "We can freely indulge, nourish ourselves and save the planet by reinventing vegan food," says Terry in the cookbook's intro. "It's as easy as borrowing from all the cuisines of the world." I have to admit that, when I first browsed through Vegan Eats World, I was a bit daunted - I saw lots of ingredients that aren't regular staples in this house. And I wasn't sure where I could find many of them in the stores I usually frequent either. 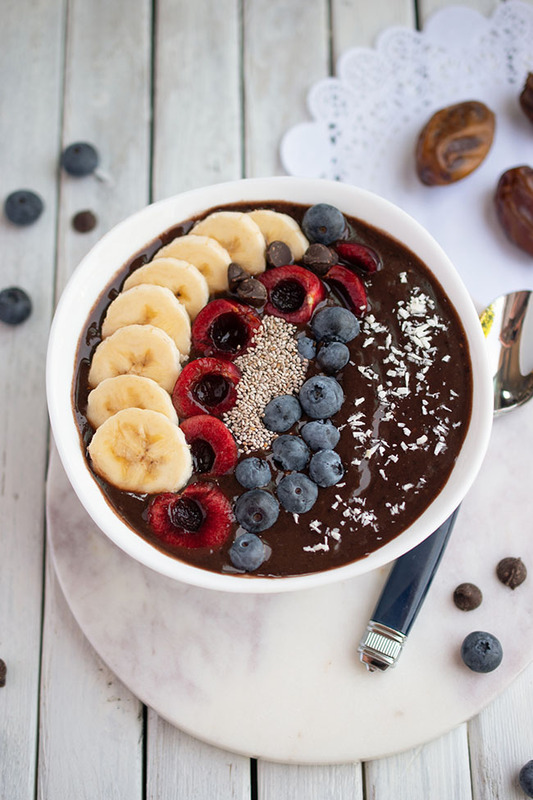 The author was inspired by her wanderings through her hometown of Queens, New York, a place where she says you can eat South Indian dosas for breakfast and enjoy a Korean stone bowl bibimbap garnished with kimchi for dinner. While I'm sure you can do this in Toronto as well, I'm not as knowledgeable about different cuisines as I could be. Fortunately the recipes frequently include tips about substitutions. For example, the Tofu and Potato Adobo Stew that I made (pictured at top) requires Filipino palm sap or coconut vinegar, but if you don't have either of those you can use regular distilled white vinegar. 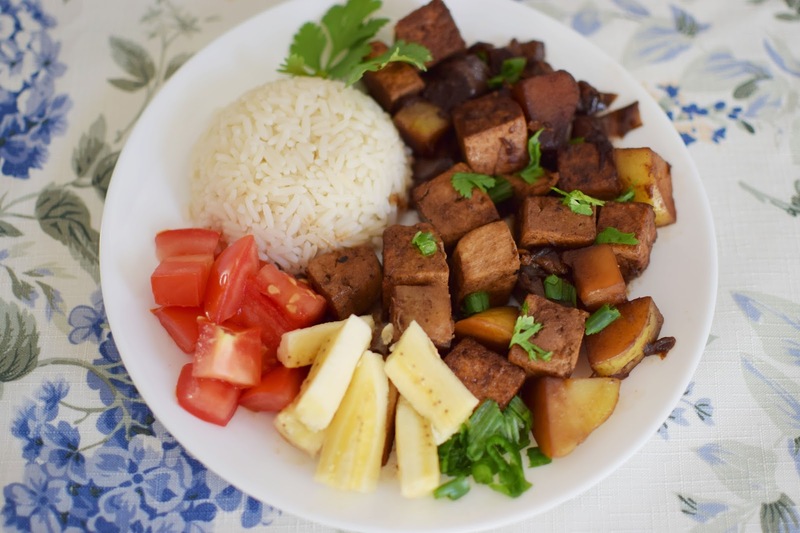 The stew was a pleasant combo of Asian eggplant, potatoes and garlic in flavourful soy sauce, topped with bananas and tomatoes and served with rice. I never would have thought to top a stew with banana and I enjoyed the contrasting flavours. I was quite pleased with the outcome and I'm looking forward to trying more recipes, such as Mexican Homemade Beans and Sesame Panko Tempeh Cutlets (Tempeh Katsu). Although I was initially feeling a bit lazy about hunting for ingredients such as star anise pods and fresh curry leaves, I gave myself a little kick in the pants and now I'm thinking Vegan Eats World is a great starting point for exploring Toronto's diverse neighbourhoods in search of a more varied diet. Do you tend to stick with the same old same old or do you like to shake up your menu? I don't cook from this book as much as I should. I did make the gyros seitan ages ago and the flavour was really good. I made the carrot halva (I think) but it was way too sweet for me. I think I'm going to stick with the same old same old for the family because when I shake it up they rarely like what I've made! This sounds like my kind of cookbook. A lot of people eat banana with curry in South Africa, it's the same idea as chutney. Star anise is very common here. I really like trying recipes from different countries. 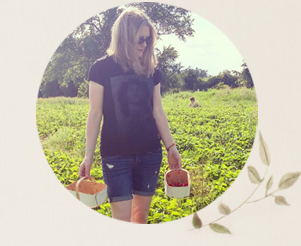 I grew up in California, where we had access to tons of exotic veggies & fruits pretty much year round-- but out here in Tennessee there just isn't the variety, and everything is seasonal. Its great that this cookbook offered substitution suggestions!! I love trying new recipes out of the 'ordinary', but agree - sometimes finding those ingredients can be a challenge!